With patience and perseverance, CEO Rich McBee finally reels in ShoreTel, achieves size and scale for cloud communications conversions. Like so many technology markets, unified communications is rapidly moving to the cloud, and the on-premises vendors have had to develop a plan to capture this growing market opportunity. The on-premises market certainly isn't dead, but my research shows that UC as a service (UCaaS) is growing (18%) at about six times the rate of premises-based solutions (3%). Mitel is one of the on-premises vendors that has done a hard pivot to the cloud, aggressively pitching its MiCloud communication services. However, Mitel is relatively small, and its size (or lack thereof) has acted as a limiting factor -- its channel and reach has had limits. This is why Mitel CEO Rich McBee has put in place an aggressive acquisition strategy, rolling up many small companies to create a larger, bigger vendor that has more customers and channel partners and is better positioned for overall growth and take share. Today, McBee added another piece to the Mitel puzzle, announcing a definitive agreement to acquire ShoreTel for $430 million, which is about $140 million less than the $574 million it had offered about three years ago. In hindsight, maybe ShoreTel should have sold then, but CEO Don Joos was relatively new to the company at that time, and the company had just completed its "common platform" and was beginning its own shift to the cloud with ShoreTel Sky. If I put myself in his shoes, I likely would have made the decision to leverage my new platform to grow faster than market rate. However, despite the strong shift, ShoreTel has been held back by some internal and market issues, and now a sale to Mitel does make more sense. The combination of the two companies makes Mitel the solid No. 2 vendor in the UCaaS space. Based on its year-to-date data for 2017, Synergy Research shows RingCentral as the market leader with $86 million in revenue, Mitel/ShoreTel at $69.3 million followed by 8x8, dropping to the No. 3 spot, at $62.7 million. The full year ending 2016 shows similar numbers, with RingCentral finishing the year at $274 million and a combined ShoreTel/Mitel at $257 million, ahead of 8x8's $225 million in revenue. Like most Mitel deals, the ShoreTel acquisition is expected to be accretive, adding to margins within a year of closing. Additionally, the company said it will realize about $60 million in savings from synergies. One of the things I have come to appreciate about Mitel is the rock-solid financial engineering behind every deal, with the company winding up in a stronger position very quickly after closing. This, in turn, enables it to make more deals. McBee is often in the spotlight, but CFO Steve Spooner is his "Spock," as he makes the deals happen financially. At first glance, one could look at the acquisition and, with the presumption of tremendous overlap between the Mitel and ShoreTel customer bases and channels, see this is nothing more than a consolidation play. However, a close look reveals the two businesses as quite complementary. 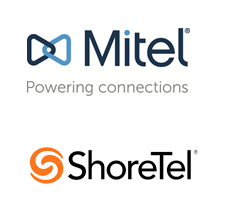 And, with its Summit platform (acquired from Corvisa), ShoreTel gives Mitel a legitimate communications platform-as-a-service (CPaaS) offering, something the company had been lacking. In this era of digital transformation, infrastructure needs to be programmable and having a strong API platform is a key to success. UCaaS competitor Vonage recognized this a little over a year ago, acquiring Nexmo, and now Mitel has a credible offering to enable customers to build Mitel-enable applications. Here's an interesting point of speculation: If Mitel tapped ShoreTel to enable a more aggressive pursuit of the cloud opportunity, then why not buy one of the many UCaaS pure-plays instead? I believe the attraction to ShoreTel, and why McBee took several runs at the company, is its installed base. Like Mitel, ShoreTel has a huge installed base of on-premises customers that it can rapidly migrate to the cloud. The purchase of the Toshiba Unified Communications Systems assets, in a deal closed earlier this month, adds to that installed base. On this morning's conference call with investors, McBee highlighted a couple of recent sizable customers wins, including a large U.S.-based multinational food processing company, and a U.K.-based global outsourcer that converted from Avaya. I'm sure Mitel will continue to be aggressive in its efforts to take share -- from Avaya and others -- but converting someone else's base is always significantly more work than converting your own. Mitel's fastest path to closing the gap on RingCentral is through conversion of its own base. One final point I would like to make on Mitel-ShoreTel is that whenever acquisitions like this occur, there are always concerns for the customers of the acquired organization. Mitel has a strong track record of being extremely customer friendly through all of its acquisitions, and has managed to retain all of the customers -- and I'm expecting the same here. Competitors will likely jump all over the ShoreTel base, trying to muddy the waters with FUD, but Mitel is typically ahead of this curve. In many aspects of life, the matter of size carries an ongoing debate. And for some things, like driving a car in a city, I would argue that a small car might be preferred to having an eight-passenger SUV. However, when it comes to sales of IT products and services, size and scale absolutely matters. Mitel's sweet spot has been and continues to be the massive number of small to mid-size businesses located in North America and Europe and the combined company can reach more of them. However, as it gets bigger, Mitel's global market presence will grow and the company should be able to go after larger multinational organizations. With patience and perseverance, McBee landed a strategic fish in ShoreTel, and now the company has the size and scale to go step on the cloud gas and accelerate growth.